The La Cañada Unified School District Governing Board invites all interested community members to attend a special forum on “The Future of California Public Education” to be held on Wednesday, October 18, 2006 from 6:00 p.m. to 8:00 p.m. at the Pasadena Senior Center , 85 E. Holly Street , Pasadena , California . The forum’s presenter will be Mr. Alan Bersin, California ’s Secretary of Education. The presentation is free and open to the general public. Prior to his appointment as Secretary of Education Mr. Bersin was the Superintendent of San Diego Unified School District, the nation’s eighth largest urban school district. He has also served as a federal and private attorney. The October 18 forum is the second in a 3 part information series on issues of educational importance sponsored by the Five Star Education Coalition. 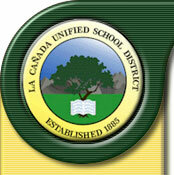 In addition to La Cañada, school districts composing the Coalition are Burbank , Glendale , Pasadena and South Pasadena . The Five Star Education Coalition was formed in 1995 and works in partnership with elected officials and community leaders to endorse and improve educational programs for the 74,000 students served by the 5 districts. For further information on the forum or for directions, contact Kim Bergner in the LCUSD office at 818-952-8381. Original site design and creation by Dave Schaafsma at Dave's Web Dynamics.